The Mud Grappler® Extreme Terrain provides off-road traction over various terrain, whether it’s dirt, rocks or mud. The massive side-lugs and 3-ply polyester sidewall construction add more protection to help prevent sidewall punctures when facing the most challenging off-road obstacles. The Mud Grappler® Extreme Terrain tire can handle anything you throw at it. Three-ply polyester sidewall construction and high strength steel belt tread package improve puncture resistance. 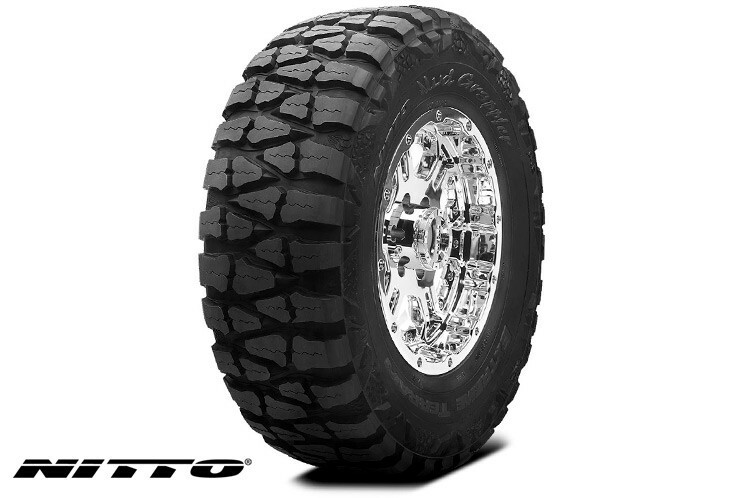 The Mud Grappler® is engineered using state-of-the-art manufacturing processes that ensure tire uniformity and quality. High void ratio efficiently clears mud and dirt from the tread area to provide excellent traction in extreme terrain. Tread blocks are arranged to keep part of the lugs biting the ground at all times. Features 2 sidewall designs so you can pick which one faces the road. One side has lizard skin side lugs and the other has plain side lugs.